Having oily/greasy hair is a very common problem. Mostly people apply more and more shampoo to get rid of oily hair but it is very harmful for hair. Here are some special tips for people suffering from this problem. These tips will surely help them all to make their greasy hair normal or reduce the oil. You can use baby shampoo or a mild shampoo to cure oily hair. Wash oily/greasy hair on daily basis but avoid using high pH shampoo. Dilute your shampoo before applying by mixing some water into it. Always wash your hair with cool water. You can also rinse you hair with lukewarm water. If your hair are very oily then don’t use any conditioner. Avoid using shiny hair products or gels etc. If you have extremely greasy hair, vinegar rinse will be better for you. Take one part vinegar and 4 parts water, mix and rinse on your hair to cure greasy hair. Don’t brush your hair too much as extra brushing will cause more oil. You can also use lemon juice diluted with water as vinegar rinse for extremely greasy/oily hair. Make a mixture of tea water, lemon juice and henna and apply this mixture on you hair. Leave it for two hours and rinse it off. 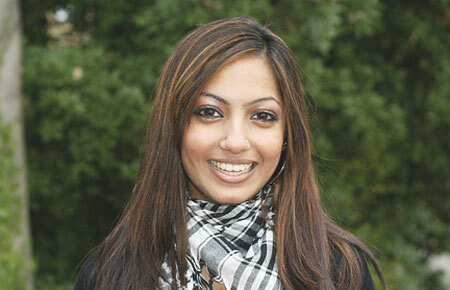 Having shiny hair is dream of every woman and all women opt for different hair care products. There is a wide variety of hair care products today that confuse women to select best one for hair care product. Many companies are advertising their products but some of these products are not organic based and have harsh chemicals that affect hair badly instead of enhancing hair beauty. All beauty conscious women don’t need to be confused among this variety of hair care products because here you will get best collection of tips to get shiny hair naturally. All women are advised to use natural hair care products for everyday hair care. You should herbal shampoos and conditioners to feed your hair healthy. Chemical products are not good for hair’s health. You can use lemon juice to rinse your hair to make them shiny. You can also use apple cider vinegar in this regard. After rinsing your hair with lemon juice or vinegar, let them dry and don’t use towel in hair. Avoid using hair gadgets and don’t use hair dryer but let them dry naturally. Use herbal creams to make your hair condition better. Avoid washing your hair on frequent days. It will reduce quality of your hair. It is better to wash your hair three times a week. Getting your hair coiffed will be good for your hair. Have hair cut once a month to remove split hair ends. Don’t rely of chemical products that claim silky and shiny hair in one wash.
Eat healthy diet because diet you eat is also beneficial for your hair. Do oiling in your hair scalps before hair wash.
How to Curl Hair with Curling Rod? Hair styling is of greater importance in one’s beauty. Some women always remain in braids and some make buns in routine. Some women like to go anywhere with open hair. Styling of open hair can also be done in different ways. 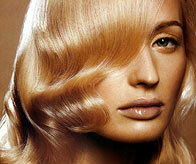 You may like to have straight hair or want to curl your hair. Different beauty gadgets are available in the market that can be used for different styles of hair. Proper use of these hair gadgets is of greater importance as negligence in using these gadgets can adversely harm hair growth and beauty. Here you will discuss proper use of hair curling rod to curl your hair to get a new look. You should start with hair styling gel or spray for cleaning and blow dry them until dry completely. You can make better and long lasting curls by using quality hair products. After complete hair dry, apply a clip to your hair in multiple sections. Then remove the clip from one section and brush it properly to remove all knots. If you have very fine and soft hair then use a spray to make your hair hold curls well. Start from the under section of your hair. Twist a small section of your hair with your hands to make spiral curls. You can also make flat and large section for loose curls. Open the curling iron and insert your hair. Close the curling iron barrel on your hair. Carefully enclose all the ends in the barrel. Roll the iron up and hold it for 10 seconds. Release the curls and repeat the same process with rest of the sections of hair. Shake out the curls when all the hair are curled and style your hair with fingers. Spray your hair with a light spray. It will keep the curls in right place and position. Humidity hair sprays are also available for humid climates to keep the hair styles in place. If you have rough hair then all your trials to look beautiful will go in smoke. To look naturally beautiful you have to take proper care of your hair. Here are some useful tips for proper hair care. 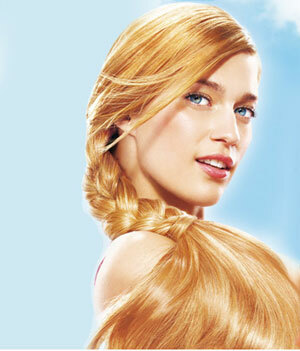 Balanced diet is the best and most natural hair remedy to get beautiful hair. Protein, calcium and iron inclusion in your diet schedule is necessary for proper hair care. Vitamin B and C are essential for hair growth. Regular intake of these nutrients prevent hair fall and splitting of hair. A protein in poultry and eggs is great support for proper hair growth. You should take whole grains and cereals with vegetables for natural hair beauty. Drinking plenty of water will serve as natural hydrant for hair. Sweat accumulated in hair scalp can cause hair fall and other fungal infections. Regular cleansing of hair using shampoos and conditioners is very necessary. Do gentle massage with your finger tips for proper cleansing. Choose right brand of shampoo and conditioner. Avoid applying conditioner on your hair scalps. 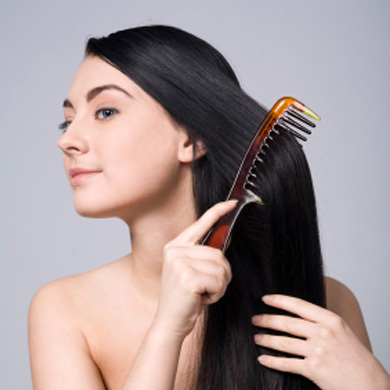 Develop habit of combing your hair regularly. It is best way to massage the hair tissues and flourish the proper hair growth. Use wide-toothed comb to prevent hair damaging and hair fall. Never comb your hair when they are completely wet similarly combing fully dry hair will also weaken your hair. Many people don’t like wet hair and want their hair dry quick using different hair gadgets like blow dryer. Some fashion and style conscious people use hair gadgets like hair straighter or curling rod etc to get new look. Regular use of hair gadgets is harmful for beauty of your hair. Let your hair dry in open air or using a towel instead of blow dryer. Removing the split hair ends is very necessary for proper hair care. Hair trimming is not only necessary to get rid of split hair ends but it also encourages hair growth. Taking proper sleep time is also necessary and natural remedy for hair care. Sleep time of 6 to 8 hours relaxes the head muscles and enhance hair growth process. Regular hair massage before washing hair will also affect positively on hair beauty and growth. You can use different oils or oil based conditioners for hair massage. Gentle massage with finger tips and gentle combing of all hair in opposite direction improves the hair growth. The first and foremost important remedy for hair dandruff is to do proper oiling. To get rid of hair dandruff, take one egg and one cup of yogurt and mix them finely. Apply the mixture on scalp of your hair and wash off after half an hour. Take two table spoons of beetroot juice, one egg and one table spoon of lime juice. Mix them altogether and apply on hair scalp half an hour before taking bath. Mix one table spoon of lemon juice and one table spoon of yogurt. Apply the mixture on scalps and wash after 15-20 minutes. Massage your hair with hot oil before sleeping. Next morning take a mixture of one table spoon lemon juice and one table spoon of sure yogurt and apply on the scalp half an before taking bath. Losing hair is a very common problem. It is a genetic problem and may also cause from some weaknesses. It happens as a routine that after getting up every next morning, people see their pillows covered with hair. Here are some tips to cure hair fall. 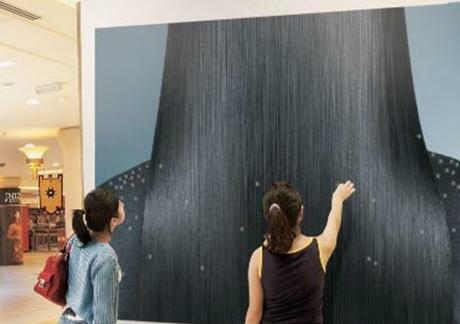 Excess use of chemicals leads towards hair fall. People use different chemicals for style and hair growth but in return get trapped in problem of hair fall. Lessen the use of chemicals like hair gel, hair sprays, conditioners and shampoos. Dying hair is also one of the causes of hair fall. Keep gap of 6 to 7 weeks in two successive hair colors. Eat healthy food rich in iron, proteins and vitamins. Provide your body with all necessary salts, minerals and other nutrients. If you are careless for your diet, first impact will be shown on your nails and hair before you feel weaknesses in other parts of your body. Vitamin A and E are considered the best to cure hair fall. One more important and very common cause of hair loss is hair styling. People go to salons and professionals for hair cuts for different hair styles to look mode and stylish. Setting the hair in their opposite directions make them weak and then hair fall starts. Use of hair gadgets also dry your hair and cause hair fall. People use blow dryer in routine that is very dangerous for health of hair. Let your hair dry in open air if you are not in hurry. Use pillow covers having less friction as they will be not so harsh for hair and you will prevent hair loss. 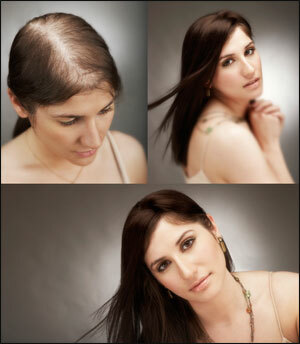 If you have excess hair loss problem then consult some doctor to prevent further hair loss. A person even with heavy and healthy hair will lose 50-100 hair in a day and this range is considered as normal. If your hair fall beyond this limit you need to consult some doctor and take medications.